Clark Propst had a well attended presentation at RPM Chicagoland covering many aspects of his latest layout. He sent details on his layout backdrop work for the latest blog post. Here’s Clark with the scoop. 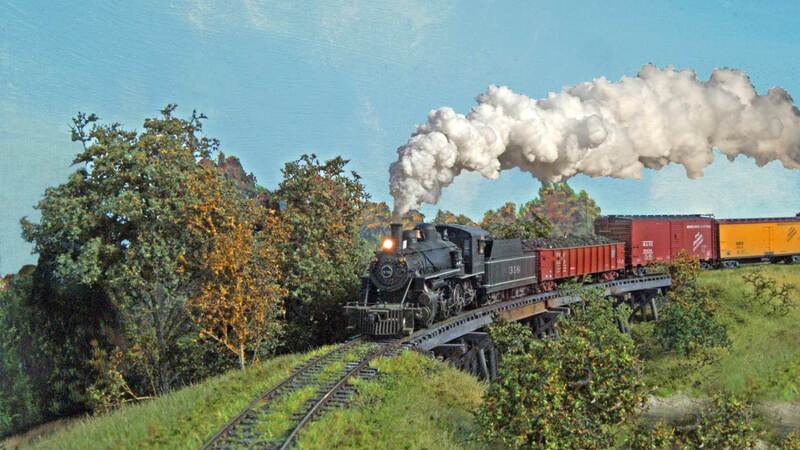 Mountainous terrain has always been appealing to modelers interested in scenery. Mountains are easily made with the hardshell method or stacking insulating foam board. The basic form is then covered with rock castings, trees, or a combination of both. Modeling the flatlands of America is more difficult. Horizontal scenes look bare when pushed up against a vertical backdrop painted sky blue. 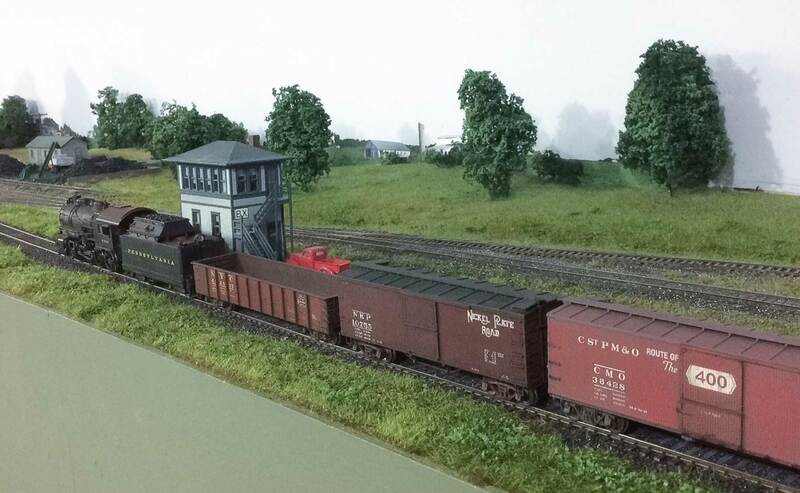 Jim Six sent a few images of his layout progress recently and gave permission to share them on the blog. 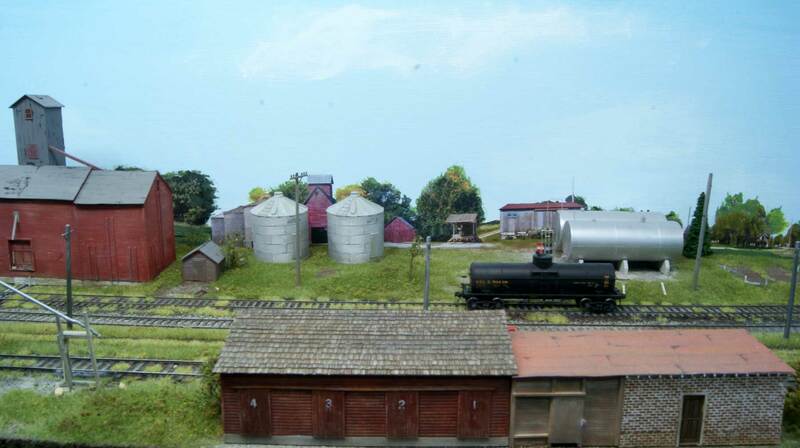 Jim has been rebuilding his HO scale layout that reflects northern Indiana towns. He had grown dissatisfied with the layout that was featured in the 2010 Model Railroad Planning and has decided to focus on one main town. What follows are some notes and photos from Jim. Enjoy. Extra 316 rounds a curve on the M&StL Story City Branch. All photos by Clark Propst. Smoke effect applied by Tony Koester. Clark Propst has been busy working on his new layout. He sent an update along for the blog. The nickname Great Weedy was given to the Chicago Great Western Railroad, commonly known as the Great Western, hence Great Weedy. This moniker could be used to describe about any Granger secondary route mid last century. This is my inspiration for the latest layout work. Clark Propst returns to the blog with his tale on starting a new layout. Here’s Clark’s story. It took me decades to discover I am what Tony wrote, but add in freight car guy, too. I’m a modeler first and an operator second. Being practical, I can’t see buying and building models, and not using them. You don’t have to be really good at something to enjoy it. You just need satisfactory results. Striving to do better next time is the key. My next time came when we sold our home and my prototype layout took a one way trip to the landfill.